Making movies is the most exciting way to earn a living and it is not surprising that media and film studies remain the most popular courses at colleges across the western world. A short film provides an opportunity for elliptical, poetic, condensed story telling. Shorts can take risks rarely seen in features. It is the arena where a strong voice or individual vision is possible; an invitation for experimentation and originality. 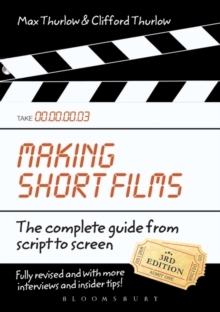 Making Short Films, 3rd edition is entirely revised and restructured, providing a much more complete and detailed guide to filmmaking, with more information on new technology, illustrations and ideas for best practice.